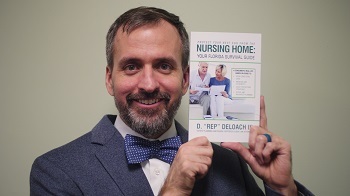 Free Book: Protect Your Nest Egg From The Nursing Home | DeLoach, Hofstra & Cavonis, P.A. HELP FOR YOU AND YOUR LOVED ONE! D. “Rep” DeLoach III is a Board Certified specialist in Elder Law in Seminole (St. Petersburg area), Florida. Practicing law since 1999, he is a well-known speaker to both the public and to the legal community. Rep looks forward to helping you and your family plan your estate, protect your assets, and properly prepare for the future. Simply fill out the form below and we will send you an instant PDF download. Yes, I'd Like My Free Copy!